DETROIT, MI - DECEMBER 26: Bradley Beal #3 of the Washington Wizards dunks the ball against the Detroit Pistons on December 26, 2018 at Little Caesars Arena in Detroit, Michigan. 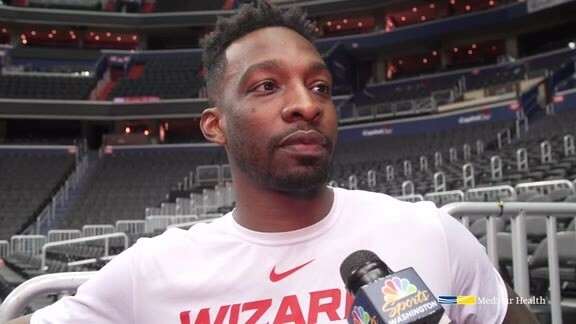 The Wizards have returned from London and will face the Pistons on Monday afternoon on Martin Luther King Jr. Day. Washington has won six of its last nine games and is coming off a thrilling win overseas. Andre Drummond, who missed most of Friday’s game and sat out Saturday, is out. The Pistons have won three of their last five games after winning only one of their previous eight. Adjusting back home after traveling abroad is never easy, but the Wizards have had a light workload since returning. After landing on Thursday afternoon, the Wizards had Friday off, an optional practice Saturday, and a full practice on Sunday. 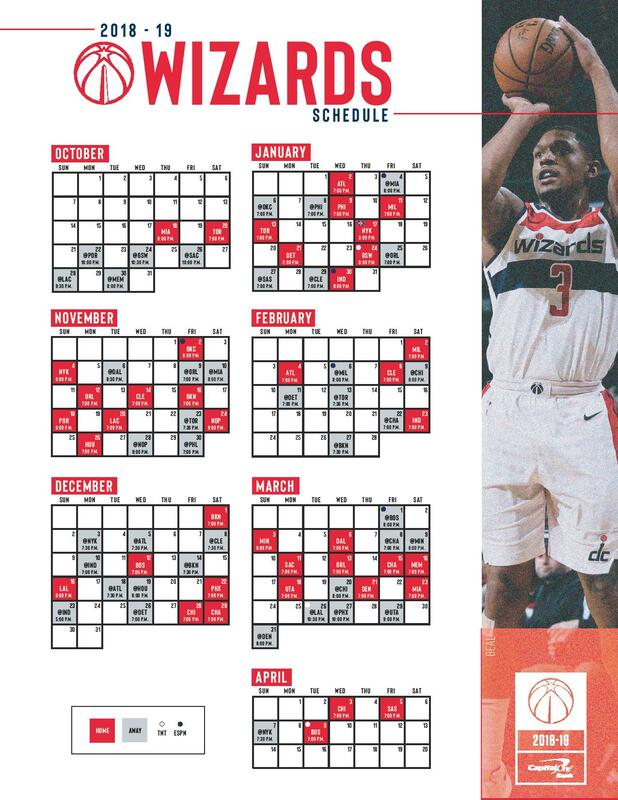 The NBA London Game counted as a home game for the Wizards, and now Washington is 14-8 at home this season. The Wizards have won 11 of their last 14 home games, and two of those were overtime losses to the Celtics and Raptors. The team has found its mojo at home this season, and Monday will give the Wizards another opportunity to protect home court against the Pistons. Detroit is 7-14 on the road this season, including only three road wins since December 14 when they beat the Raptors in Toronto. Bradley Beal continued his dominant stretch in Europe, scoring 26 points. Even though he started cold, Beal willed the Wizards to victory in the fourth quarter, something he’s been doing since John Wall was ruled out for the season. In January, Beal is now averaging 30.6 points, 5.9 rebounds, 6.5 assists, and 2.0 steals per game on 46.2% overall shooting and 41.1% from deep. Considering six of those eight games have been against current playoff teams, Beal’s numbers are even more impressive. The All-Star shooting guard has scored at least 24 points in those eight contests. The Pistons will likely have scrappy rookie Bruce Brown start on Beal. For Detroit, Blake Griffin is also having a monster January, building on what has been a strong season (25.7 PPG, 8.1 RPG, 5.3 APG). In January, Griffin is scoring 29.3 points per game on 51.4% shooting, and has scored 30 or more points in four of his last five games. He’s the focal point of the Pistons’ offense, and has been able to spread the floor even more this season, attempting a career-high 6.6 triples per game. Last time these two teams played, Jeff Green only played nine minutes due to foul trouble. The Wizards hope Green can stay in the game this time around and help guard Griffin, with Trevor Ariza likely guarding him a lot too. Entering Monday’s game, the Pistons are only one game ahead of the Wizards in the Eastern Conference. Washington and Detroit are currently out of the playoff picture, but are knocking on the door. With only three matchups this season between the two teams, the tiebreaker could prove pivotal down the road. The Pistons took the first matchup of the season in Detroit in December, with the last game taking place next month there as well. The Wizards have beaten the Pistons seven times in a row in the nation’s capital.